Jolly Boy | All Around Dogs Jolly Boy | Thoughts on training and life with dogs. Last weekend summer weather heaved a last gasp and gave us two gorgeous warm days. Thanks to our newly fenced yard, the dogs got to run, sniff, and sun themselves as much as they wanted. Delta spends a lot of time running in the yard, but Dash is more interesting in sniffing and sunning. Photos like this make my heart sing. 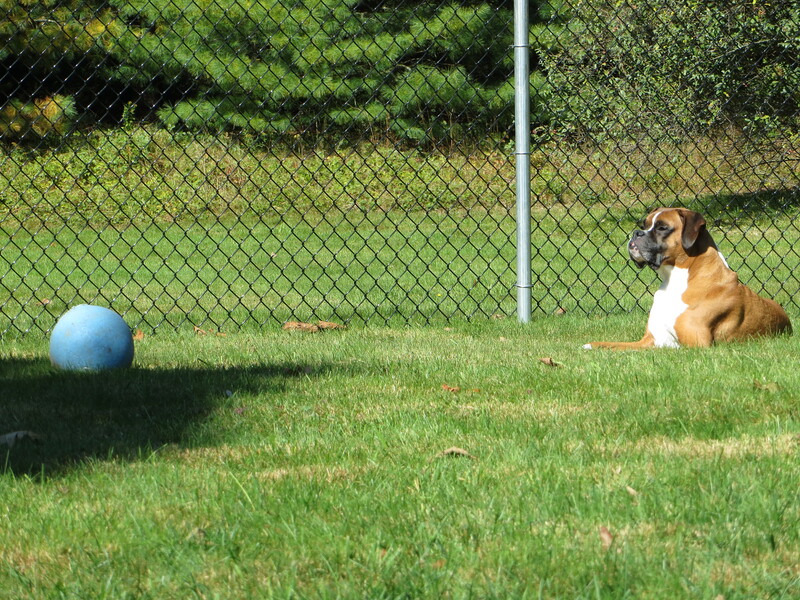 A boy and his ball in his yard. It’s a beautiful thing.